News from induPlast plastic packaging. Induplast has added new sizes to two of its best-selling lines, the popular Roll-ONe and Flat ranges. In recent years, both have been responsible for shifting paradigms in the personal care and cosmetic spaces, as unique market representatives within their categories. Both of the new sizes are on the lower end of the capacity spectrum, perfect for travel-sized products. Recently, the Smart Smile line has garnered Ecocert certification, making it still more attractive to firms who desire not only a perfectly engineered piece of packaging, but one that also does its part to generate less environmental impact. Designed to appeal to modern consumers, induPlast's Smart Smile sticks are incredibly functional and come in both standard and sporty versions. Originally designed to appeal to modern consumers, induPlast's Smart Smile sticks have proven to become a distinctive packaging concept. 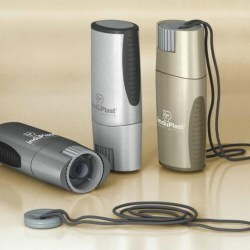 Incredibly functional in both standard and sporty versions, the gorgeous design is strikingly innovative in a number of ways, including no-slip grips on the caps and the inclusion of housing for optional necklaces. 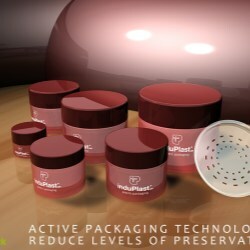 Long-time Webpackaging member induPlast has recently announced in its participation of the Acticospack project, a group of companies cooperating together and dedicated to "reducing the use of preservatives like parabens for natural preservatives in cosmetic products while maintaining the quality and safety for the same or even longer shelf life". Hence, the goal of the new consortium is to develop develop an innovative and active package that will act as a reservoir of preservatives which will be released into the cosmetic products due to the migration properties given by many polymeric materials like those used in packaging. Leading Italian packaging firm induPlast, the producer of a wide array of products such as stick containers, lip balm tubes, jars, make-up containers and rigid tubes, has recently launched its Smart Smile line of stick containers. Designed to appeal to modern consumers, the sticks are incredibly functional and comes in both standard and sporty versions. 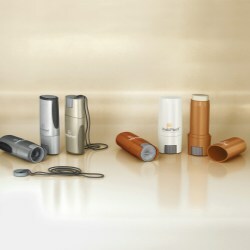 The gorgeous design is strikingly innovative in a number of ways, including no-slip grips on the caps and the inclusion of housing for optional necklaces. 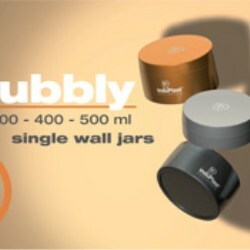 Induplast, the Italian leading packaging specialist since 1958 and the producers of a wide array of products such as stick containers, lip balm tubes, jars, make-up containers and rigid tubes, has recently launched its BUBBLY line, a new range of innovative wide mouth, single wall jars in highly product compatible PP, featuring a contemporary design and an elegant, refined, and fashionable style.